Our company specializes in towing and extrication of cars, trucks, lorries, buses and heavy machinery. We also transport building, agricultural, forestry and handling machinery. 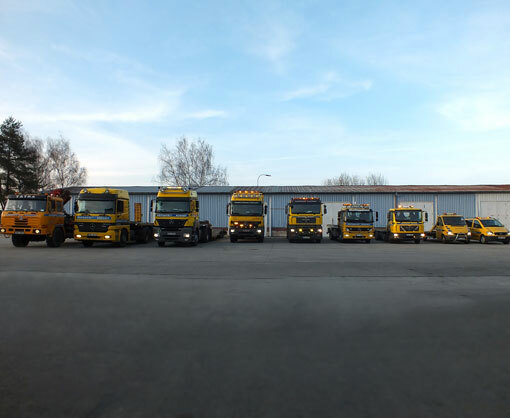 KOROSTENSKI ASSISTANCE Ltd. is an established company with a long tradition in the field of towing and recovering tasks, especially in a very difficultly accessible terrain. Our goal is to provide help to drivers in straits as soon and as effectively as possible. We are a contractual partner of all important assistance services and insurance companies in the Czech Republic (IZS, ŘSD, SÚS JK).Our service is offered around the clock, 365 days a year, everywhere within the Czech Republic and Europe. We offer complex services – lending of a spare vehicle, organizing of accommodation, warehouse services, and insured events settlement and consulting. We simply save your time. On the basis of long term cooperation with other assistance services and insurance companies most of our services is covered by prepaid assistance services that are a part of the car liability insurance and the collision insurance. In this way we try to minimize your financial interest.